Full Disclosure: Mujjo were kind enough to send me their latest leather wallet case free of charge for this evaluation. A bold move, I’m pretty picky. Phone cases can be a love or hate affair. They’re a useful tool to protect fragile screens, or they’re a cumbersome distraction from the industrial design masterpieces that are most modern phones. I ditched mine a few years back, choosing to take the risk of a cracked screen in order to slim things down a bit in the trouser pockets. Resigned to being ultra-careful when whipping out my phone to send a text, and several near-misses later, I’m still case and cracked screen-free. Enter Mujjo, the Netherlands-based company responsible for creating some of the most beautifully crafted phone and laptop cases that I have encountered. Could the appeal of fine craftsmanship and attention to detail convert me? The thoughtful functionality alone is a great reason to switch. A pocket for 2 or 3 cards is a good way to keep things simpler and safer for a night out, enabling my bulky wallet to stay at home. The top of the card pouch, cut at an angle for easy finger access is a neat touch. Beyond function, it’s the sensory qualities of this product that are even more compelling to me; the haptic of the leather is first rate, a super-fine grain that is smooth, warm and buttery soft to touch. The appearance is clean, having been boiled down to the essentials that make the product work as a complement to your latest piece of tech, rather than a distraction. I loved the subtle deboss of the MUJJO text, and the restrained feature stitching that demonstrates careful hand-craftsmanship. It’s a beautiful product that evokes a feeling of modest luxury (I’m reminded of an awesome article on this subject, by the team over at Car Design Research). There’s a sense of “how did they do that?” about this product. 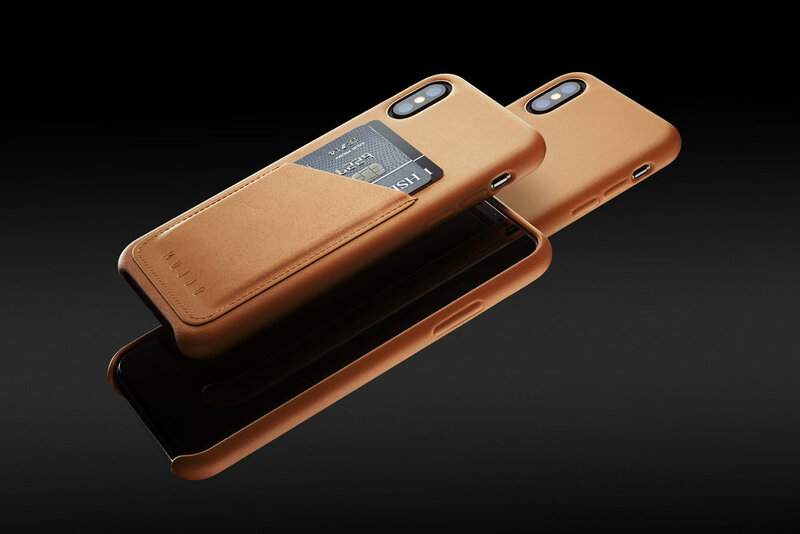 It manages to be super thin but sturdy; the wrapped edges of the leather can not be seen; and the in-laid microfiber inside has a tight, zero-gap condition to the leather. When you can’t work out how something has been created, it becomes almost magical, a feeling that makes this product even more special. Cutting-edge tech and leather goods are strange bedfellows. I like the juxtaposition of the uncompromisingly modern technology you find in a phone with the warmer, richer, more traditional charm of finely crafted leather goods. It’s a bit like an ultra-modern restaurant serving an old fashioned steamed pudding, or a minimalist kitchen with a classic Brown Betty teapot. Great job Mujjo, you got yourself a convert. Classic Cars - Yesterday's News or Lessons for the Car Designs of Tomorrow?